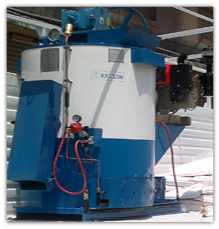 Equipment is fitted with Diesel Engine to provide continuous stirring, which provides homogeneous thermoplastic molten. 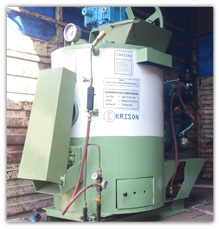 The system is heated by LPG, through heavy duty, high pressure radial burners which are of high standard available in heating industry.Oil Jacketed Thermoplastic Preheaters, having a capacity of 500 Kgs. 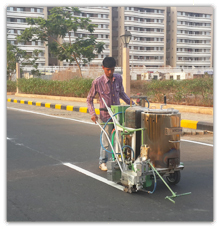 As Single Unit are manufactured to a very high standard, to withstand continuous workload demanded by Road Marking Contractors. It can be operated continuously for 8-10 hours. This will act as feeder vehicle to a hand propelled or automatic applicator to produce 500 sq. Mtrs. Of markings a day. All pipe works valves and regulators are easily accessible. Hand torch fitted for trouble free operation. Equipment is skid mounted, can be transported in a mini truck. Weight : Dry Weight 1100 Kgs. Address - Unit No. 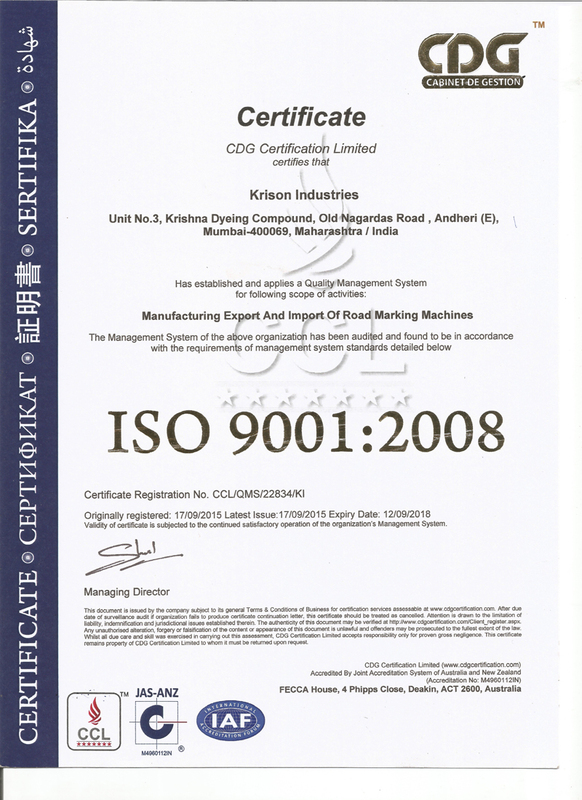 3, Krishna Dyeing Compound, Old Nagardas Road, Andheri (East), Mumbai - 400 069, Maharashtra, India.